Kishore Mahbubani, the Guru from Singapore – he has clear vision what it means to have an Asian Middle Class of 1.75 billion people by 2020. Will the UN Security Council be restructured? Fareed Zakaria asks Kishore Mahbubani on the CNN/GPS program March 24, 2013 – One thing historically that has always happened is when you have the rise of a middle class, countries tend to become more democratic. Do you think China will become a democracy? Mahbubani: “I think China will eventually become a democracy. The destination is not in doubt. The only question is the route and timing. But China is not going to become democratic in the near future, in the next 10 to 20 years. And, by the way, one point people forget is that if you go to Chinese universities and you talk to bright young Chinese and ask them, would you like to get rid of the Communist Party and immediately become democratic tomorrow, most of them would say no. Because they do know that the Chinese Communist Party, over the last 30 years, has delivered the fastest growth in the standard of living. Starting with China and India and looking at the rest of Asia – today there are 500 million people in the middle class – the growth is immense and by 2020 the expectation is that this number will more then triple and there will be 1.75 billion people of that region that will be in the middle class. The West must show the wisdom to learn to manage the entrance of these Asian states into the Global multinational system – and what more – the US must learn how to be a #2 when finally another Nation becomes #1. Mahbubani talks of THE GREAT CONVERSION as a final result of the development process. He is mostly interested in the political sphere. Today we have a strong International Society and a very weak International Government. Some must learn to conceive that the time of being clear #1 will be over. Mahbubani is practical and aims at the end of the present system of the so called 5 Superpowers. He shreds the UN Security Council and wants to se it replaced by a set of new 7 Permanent Members augmented with another 7 Semi-permanent Members. The Set of Semi-Permanents will then be made up by counties like Korea, Japan, Turkey, Mexico, Indonesia …. We were flabbergasted as his scheme, except for replacing Nigeria for South Africa, is identical with what we were advocating years ago. So, to be honest, this posting comes about because we feel justified by the content of Professor Mahbubani’s remarks. Further, on the Fareed Zakaria program today he had also Dr. Neil Degrasse Tyson advocate the US put more money into Space as the present situation of not having a US Space-ship and the need to rent place on Russia’s equipment, not just harms US research, but in effect became a give-away to Russia, China, India, even Canada, of the potential for inovation that comes with investment in space Programs. This is another reason for fore-seable US decline. 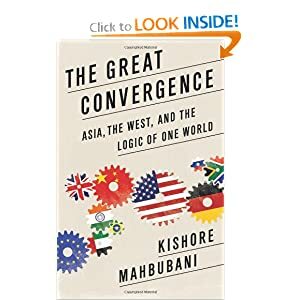 Kishore Mahbubani of Singapore, at the Asia Society in New York, introduces his new book on the logic of One World – that states: America’s position as sole number one in the globalized world ends in maximum five years, and future optimism results from the focus of convergence. Policymakers all over the world must change their preconceptions and accept that we live in one world. National interests must be balanced with global interests. Power must be shared. The U.S. and Europe must cede some power. China and India, Africa and the Islamic world must be integrated. Mahbubani urges that only through these actions can we create a world that converges benignly. This timely book explains how to move forward and confront many pressing global challenges. Kishore Mahbubani is the Dean and Professor in the Practice of Public Policy at the Lee Kuan Yew School of Public Policy at the National University of Singapore. From 1971-2004 he served in the Singapore Foreign Ministry, where he was Permanent Secretary from 1993-1998, served twice as Singapore’s Ambassador to the UN, and in January 2001 and May 2002 served as President of the UN Security Council. In The Great Convergence, he assesses East and West at a remarkable turning point in world history and reaches an incredible conclusion: China stands poised to become the world’s largest economy as soon as 2016. Unprecedented numbers of the world’s population, driven by Asian economic growth, are being lifted out of poverty and into the middle class. And with this creation of a world-wide middle class, there is an unprecedented convergence of interests and perceptions, cultures and values: a truly global civilization. Foreign Policy and Prospect magazines have listed him as one of the top 100 public intellectuals in the world, and in 2009 The Financial Times included him on their list of the top 50 individuals who would shape the debate on the future of capitalism. In 2010 and 2011 he was selected as one of Foreign Policy’s Top Global Thinkers. On February 6, 2013, at the Asia Society in New York, before a full room and in a give and take with Ian Bremmer (who is President of Eurasia Group and worked with Henry Kissinger), the lively discussion was being beamed to Australia, where the local Asia Society was gathered to follow New York. Mahbubani sees the rise of China and India, but the reality is that in this last decade while another 1,25 million Asians joined National militaries – but this was a decade of no wars. He projects that while today there are 500 million Asians of Middle Class, the number will be 1.5 billion by 2025. His vision of the World is that of a boat with 193 compartments and steering-less. The Americans who are now steering their boat in a competition with the another 192 boats will soon decide that it is better to get their own compartment in the large united boat, and not rock it from inside. He was adamant at saying that he has not yet met an American leader who is contemplating the day that America will not be Number 1 anymore and that this position will actually be passed on to China just in 3-4 years from now – maybe 5 years. But he expects his change to happen smoothly, and the only problem he follows is that of the small islands of the coast of China, that the Japanese are holding but do not own yet, and will have eventually to negotiate away between their Nationalists and the Chinese Nationalists. Mahbubani moderated this January 11 a panel on the future of the American power at Davos, and did not get the feedback and recognition he feels as obvious to him. He also said that it is hard to find Chinese that recognize they are on the way of being #1 – like it is hard to find Americans that recognize they will not be #1. Both sides are not ready to see the reality – so they will co-operate in hiding it. The Mahbubani logic is that we converge in aspirational goals first, and then find people to get us there. At Davos he saw convergence of perspective, but he did not see there many people from China yet. The magic is the rising of the global consumer and the rising of the global conscience of the problems. Global leadership? There is a decrease of demand at the time the supply is diminishing. Geopolitics? The middle classes in China want the economic growth to continue – “to pivot poison or make peace.” Multilateralism and multilateral organizations are needed to help solve global problems like global warming, environmental pollution, and climate change, but we decreased the stature of the multinational organizations, so it will end up with National governments working on solutions within their compartments in the common boat. Capitalism in China? It was the accession to WTO that killed the Chinese State enterprises and opened up the way to privatization – but the illusion of communism will continue in order to justify the State structure. He had an anecdote that mentioned a Chinese leader who was able to look with humor at this false face of communism that has taken roots in the fast growing Chinese economy of today. Sheldon Adelson – the financial source behind Romney and Netanyahu explained on a Washington Post Blog. A goal-getter with just a few clear goals derived and explained from his personal roots. Sheldon Adelson: Casino magnate, mega-donor is a man of many motives. JASON REED/REUTERS – Chairman and CEO of the Las Vegas Sands casino Sheldon Adelson (C), a donor to Republican presidential nominee Mitt Romney, speaks with other attendees at the end of the first presidential debate Oct. 3 in Denver. “Israel is at the core of everything he does,” says Fred Zeidman, a friend of Adelson, fellow Romney backer and former chairman of the U.S. Holocaust Memorial Museum. Adelson is something of a paradox. Jewish friends and foes alike call him a “shtarker” — a Yiddish term for a tough guy — yet his pattern of giving supports both his own business interests and more selfless pursuits, such as the more than $100 million he has given to Birthright Israel, a program that sends young American Jews on all-expenses-paid trips to the Jewish state. Adelson has no business degree — indeed, no degree of any kind. He knew little about computers or casinos before entering the fields that would make him rich. He says his success stems from his determination “to challenge and change the status quo.” Critics say his overriding goal is to solidify control of markets in which he does business. Adelson’s passion for Israel did not develop into Republican activism until the past two decades. Adelson’s $1.5 billion Venetian remains the only major casino on the Strip that is not unionized. The culinary union rejects Adelson’s claim that he provides his 6,300 workers with better pay and benefits than they would get under union contracts. October 1-2, 2012, in Washington DC – meeting days of the Carbon Forum North America. It is expected that emissions from aviation will be major topic at the UNFCCC COP this December in Doha, Qatar. Aviation emissions, after a phase of confrontation, are back on the negotiating table with Washington calling a meeting, scheduled for the end of July 2012. The policy shift will directly affect climate negotiations at the meeting to be held in Qatar this Decmber. the Conference Call says: At a time when both the U.S. Executive and Legislative branches are preparing to launch their strategic post-election vision and California is set to establish a functional North American market through the Western Climate Initiative and an innovative climate finance is gaining significance; a new round of rejuvenated international climate talks are quickly approaching; emerging carbon markets are coming to prominence; and new regulatory developments are expected the CFNA will bring critical greenhouse gas issues to the forefront in this Washington, DC meeting of 1-2 October 2012. Committed support from leaders in the field will once again make Carbon Forum North America a must-attend event – if information and the potential lobbying in the post-election period is your field of action. CFNA will be this year’s best opportunity to network with the North American and global carbon markets, browse exhibits showcasing the work of leading companies, and learn what you need to know about this rapidly evolving policy area. THE REMAINING 18 STATES of the ECONOMISTS’ TREE OF LIFE – BIG OR SMALL – THAT ENJOY AN AAA RATING ON AUGUST 11, 2011. DO SOME OF THEM REPRESENT REAL ECONOMIES? Seven independent States – AUSTRALIA, CANADA, LICHTENSTEIN, LUXEMBOURG, NORWAY, SINGAPORE and SWITZERLAND. Seven EURO States – AUSTRIA, DENMARK, FINLAND, FRANCE, GERMANY, THE NETHERLANDS, and SWEDEN. and HONG KONG that sits on the rib of China. Of these France seems to be next State to fall of this economists’ tree of life. Confucius said: “the man who uses his brain should govern; the man who uses his strength should be governed.” Is this the secret of East Asia success according to Singapore professor Kishore Mahbubani? Are these guidelines to be emulated by Egypt and California? Tuesday, March 22, 2011, The Japan Times online. For decades, “government” has been demonized. Ronald Reagan famously said “government is not the solution to our problem; government is the problem.” But Reagan was only the most eloquent spokesman for this zeitgeist. He did not manufacture it. Following an explosion of government programs in the 1960s, a belief developed in the minds of key American policymakers that the best government is the least government. Two dangerous corollaries emerged from this view. The first was the belief that taxes are inherently bad, and thus that reducing them is the only solution to any public problem. In California, many taxes were reduced by voter initiatives, demonstrating the damaging consequences of too much democracy. Indeed, such direct democracy helped make California ungovernable. For example, direct ballots on hot-button issues made prison sentencing mandatory, while simultaneously reducing taxes and funding for prisons. In 1978, Proposition 13 capped California property taxes — the main source of public school funding. School revenues slumped, and from 1974 to 1979, California fell from ninth place to 44th among the 50 U.S. states in per capita spending on public high schools, with California’s students soon slipping down the rankings as well. Egypt’s problems are, of course, vastly different from those of California. Despite the economic growth resulting from reforms undertaken by Hosni Mubarak’s regime in recent years, unemployment and poverty remained at high levels. With a heavy and stifling bureaucracy and the prospect of a dynastic political succession, sheer lack of hope drove hundreds of thousands of Egyptians onto the streets. With the dictator driven from power, Egyptians, too, must redefine government. People in both Cairo and California should look to East Asia. Despite their ideological differences, governments throughout the region have delivered rapid economic growth and improved their populations’ livelihoods. Despite the fact that most leading East Asian policymakers were trained in American universities, none was seduced by Reagan’s belief that “government is the problem.” Millennia-old cultural beliefs in East Asia underpin the view that if government is not part of the solution, no public good can be achieved. The quality of American public services has deteriorated over the past few decades, while that of Chinese public services has improved dramatically. The Chinese government has been strengthened without oppressing the growth and dynamism of the Chinese economy. There must be some principles of good government that China has developed. Of course, neither Egyptians nor Americans would ever allow a communist party to rule them. But both must find the right principles of good government to resolve their very different public policy challenges. Abandoning the Reaganesque ideology that government is inherently bad is a necessary first step. The bottom line is that the commodity in greatest demand all over the world is good government, which provides the best means of improving living standards, especially for those at the bottom. Unfortunately, good government is in limited supply, in part because there is no global consensus about what constitutes it — to the detriment of people from Cairo to California and beyond. AN ORIGINAL OBSERVATION: While the papers followed Earl-the-Good, I think the slow action Hurricane was the unraveling of the WTO. The week before Labor Day we were traveling along the coast of Upper New England along the stretch from Lynn and Marblehead North of Boston in Massachusetts, through Cape Ann, Plum Island, the shores of New Hampshire and up to Kennebunkport in Maine. That was the route that Hurricane Earl was expected to take – but Earl the Good did us no harm. I intend to write about stops on that trip, and the rather good conditions in the States we visited, but this posting deals instead with global issues – what I found going over the papers upon return to New York. What surprised me was the fact that though mentioned as details in the papers, the underlying reality that struck me seemed to be an issue with a common link that no paper mentioned – something we feel is the start of the demise of the WTO construct – that colossus of World Trade Organization that is being hailed as the epitome of global international structure that everyone was supposed to strive to get in through its doors – an achievement that was going to reward States for good behavior. But first what struck me was The Financial Times note that gave away the reality – seemingly Russia has decided that it just makes no sense to them to allow the outside world to dictate to them rules of behavior. Russia has suffered because of the climate change effects from severe drought and decreased yield of wheat – so Russia simply closed its doors to those that want to buy its wheat as Mr. Putin does not want riots because of shortages of buckwheat. He knows that we will call this interference with free trade, but he decided that the chaff of free trade is rubbish if it causes foreseeable difficulties yo his leadership. But that was just the beginning. Russia also closed the door to imports of cars by way of tariffs – a clear no-no with WTO. And why did they do that? Simple enough – they want investments in Russia for manufacturing cars inside Russia and eventually they will get their way. China is even more important – it clearly does what it wants with impunity and the WTO label is plainly superfluous. Yes or no – Hugo Boss – the German fashion house has announced that it will open 100 stores in China to add to the 450 stores it owns globally now, and the further 150 stores it will open by 2015 outside China. This is a neat increase and clear vote of confidence in the growing Chinese middle class. The US talks tough to China in public but sent high level delegations to China to reach all sorts of agreements so it will not be outplayed in business terms by others. Lawrence Summers, the Director of the National Economic Council and Thomas Donilon the Deputy National Security Adviser came to Beijing to fashion “new pacts” – a nice combination of the tough and the economic. We will clearly not know exactly what they talked about, but we assume that it finally doomed on Washington that wage increases in China so the Middle Class becomes faster a buying class – is more of a win-win situation then pushing the Chinese to increase the exchange rate in order to become less competitive with their exports. In the end, we trust that the Chinese, like the Russians, will do what is best for them according to their own internal calculations. WTO is not part of these calculations and it will be the US that will have to adjust when talking to the Chinese bankers – China having become the lender that allows the US to live above its means while still keeping some control over the money-printing presses. To top this – Bill Gates and Warren Buffet also went to China – this seemingly to suggest to the Chinese tycoons to recycle some of their gains as philanthropies and this then becomes a second route on the same road to help the earning power of the lower classes in China. Similarly, India has restricted its exports of cotton and other raw materials, provided incentives for inflow of investments and watched its stockmarkets out perform those of the other fast developing markets. Proof to this booming – non WTO related Asian growth – Julius Baer, the Swiss private bank, has moved to double its Asian assets to 20-25% of its total in the next 5 years as it recruits new staff and opens more offices in the region. The bank has identified Asia as its second “home market” after Europe. They will have offices in Hong Konk, Shanghai, and Singapore – the latter with a new office space for 700 people. And if all of the above is not enough – here comes Brazil – the champion of them all that used to fight the US at WTO on ethanol fuel issues and agricultural produce. Now they do not bother with this way of time waste. They have it too good to need it. Petrobras, the Brazilian energy champion is making a global offering of shares in the $32 Billion range with investment plans of $224 Billion. The Wall Street Journal’s BUZZ mentions even Share Sales of $65 Billion! – The above is the highest issue of shares ever – period. This week I participated at two events of the Brazilian-American Chamber of Commerce, one of them a Day of Independence reception, and the other an evaluation of the capital markets and Brazilian tax laws for US investments in Brazil – and both events were gang-ho. Further, a trio of Brazilian billionaires, the folks that took the Brahma beer company and built InBev that eventually bought Anheuser-Busch to become a global beverage Brazilian-run power house – they just announced that they are buying the Burger King US corporation to get a taste of the US fast-food business. And what does this mean to Brazilian beef imports to the US? In any case – later this year, Brazilian-born Bernardo Hees, a railroad executive, will go from managing shippments of grain to bringing burgers to new markets around the world as the new CEO of Burger King Holdings Inc. once 3G Capital Management Inc. completes the $3.3 Billion leveraged buyout of the chain. Let us see – with the WTO Brazil achieved nothing because the US cattlemen were able to hide behind sanitary issues, and I understand that only specialty meets like corn beef were allowed into the US. Not like the ethanol case where doors were closed with tariffs. You go to a Brazilian Churrascaria, or an Argentinian place in New York, and you get Australian grass-fed beef because the Latin variety is not allowed. What will the new Burger King owners say to this? Watch out – we predict some interesting protracted new actions and eventual political give and take! OK, so will there be any loss if the WTO is allowed to disintegrate? After all – it was established as a tool by the industrialized countries to control commerce with the commodity countries – to the detriment of the latter and the net result that it interfered with the industrialization process as well as with the development of indigenous agriculture to feed the developing country. What kind of “Free Trade” was it anyway – when banana producers were not free to export to the banana consumers they would have loved to reach? Now, with such powerhouses like China, Brazil, India, and still reluctance to allow for their full participation in the system of preferences in mutual trade, more of these countries will return to write their own laws, and those that did not become members of the club will simply lose interest in it. I think this was the real Earl I felt following last week. The Mud Slinging at the UN gets more heated up. 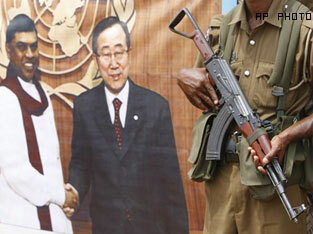 Is there a revival of the Cold War days at the UN with Mr. Ban Ki-moon propped up to oppose the US? Will the US have now to cut his tenure to one term? 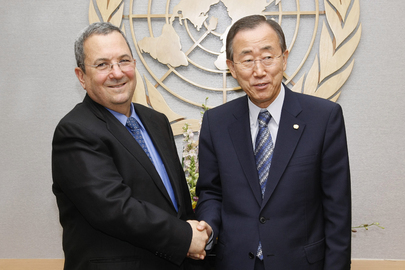 AUGUST 3, 2010 – The FOREIGN POLICY MAGAZINE – AS REPORTED BY UN WIRE OF THE UN FOUNDATION. 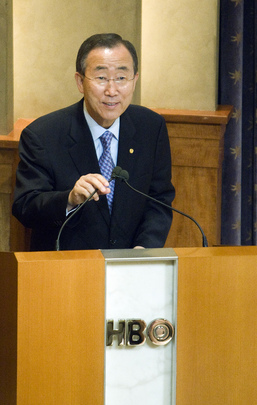 A top former U.N. investigator who was passed over for the top job in the U.N.’s investigations division has filed a grievance before the U.N.’s personnel disputes tribunal accusing Secretary-General Ban Ki-moon and his top advisors of discriminating against him because he is an American male, and demanding about $1.4 million in damages and wages, according to the complaint. The complaint, which was filed Monday in the U.N.’s administrative disputes tribunal, marks a deepening of a political crisis over Ban’s handling of the U.N.’s anti-corruption efforts. It will subject the case to a review by U.N. judges who have frequently clashed with the U.N. leadership over its treatment of staff. Last month, the tribunal awarded $700,000 to a former senior U.N. official who contested the U.N.’s refusal to promote him to a more senior job. Today’s filing marks the first time Appleton has weighed in on the matter. Appleton headed the U.N. Procurement Task Force, which conducted a series of aggressive investigations into wrongdoing from 2006 through 2009. The task force’s probes have resulted in 17 misconduct findings against U.N. staff and triggered several criminal investigations by federal prosecutors. The task force also cooperated in a federal probe of Vladimir Kuznetzov, a Russian diplomat, who was convicted in 2007 of money laundering in connection with a kickback scheme. The task force infuriated governments, including Singapore and Russia, whose nationals it targeted. In late 2008, Russia sought unsuccessfully to push for the adoption of a resolution that would have prevented the U.N. from hiring Appleton or any member of a white-collar criminal team. The task force, which was intended to be temporary, was shut down at the end of 2008, but its expertise was supposed to be preserved in the U.N.’s investigations division. Martin Nesirky, the U.N.’s chief spokesman, declined to comment on the Appleton case, saying “consistent with our practice, it would be inappropriate to comment on a case pending before the Dispute Tribunal.” A senior U.N. official, who recently briefed reporters on the condition of anonymity, said that no political pressure had been applied on Ban to block Appleton’s hiring. U.N. officials said the appointment was blocked because Ahlenius had manipulated the recruitment process so that Appleton would get the job. The U.N. Charter states that the “the paramount consideration in the employment of the staff and in the determination of the conditions of service shall be the necessity of securing the highest standards of efficiency, competence, and integrity. Due regard shall be paid to the importance of recruiting the staff on as wide a geographical basis as possible.” In practice, U.N. secretaries-general have always relied heavily on key member states to recommend candidates for top posts. Many of the top jobs, including the heads of the departments of peacekeeping and political affairs, are generally reserved for candidates from the United States, Britain and France. The power struggle between Ban and Ahlenius has its roots in an ambiguous mandate that provided her office with “operational independence” but placed it under the authority of the secretary-general, and makes it dependent on the U.N. secretariat for funding. Ban’s advisors maintain that while Ahlenius had the authority to propose a shortlist of three candidates for the job, Ban had the ultimate authority to pick the winning candidate. Appleton’s complaint cites administrative instructions that bolster Ahlenius’s claim that she had the sole authority to hire her own top advisors. David Walker, a former U.S. controller general who chairs the U.N.’s Independent Audit Advisory Committee, noted that her “operational independence” provides that “the Under Secretary General for Internal Oversight Services will have authority to appoint all staff members whose appointments are limited to service with the office up to the D-2 level.” Appleton’s post was a D-2 job. Appleton argues that the U.N. leadership had an obligation under the U.N. Charter and various General Assembly resolutions and staff directives to give him “full and fair consideration” for the job. He cited a 2008 General Assembly resolution saying that employment “should be based on merit, and that no person should be refused employment based upon race or gender or any other impermissible purpose.” But Ban issued a bulletin imposing a rule that he be allowed to appoint senior staff in the investigation’s division in January 2009, after Ahlenius had selected Appleton for the job, according to Ban and Ahlenius. Appleton also claims that a senior official in the U.N. Office of Human Resources Management made an “inappropriate attempt” to persuade Ahlenius to consider unqualified candidates for the job, including a U.N. staffer who was married to one of the senior official’s subordinates, implying a conflict of interest. U.N. official’s said that the candidate’s spouse was a personnel officer in the U.N. peacekeeping department, not in the Office of Human Resources, and that there was no conflict of interest. Please follow me on Twitter @columlynch. The Major 17 Economies were joined by Bangladesh, Denmark, Barbados, Ethiopia, Singapore and the UAE at the recent Rome meeting – to be followed by a July 19-20, 2010 Washington DC Meeting on Clean Energy – all this to build a program for Cancun. 1 July 2010: The seventh Meeting at the Leaders’ representative level of the Major Economies Forum on Energy and Climate took place in Rome, Italy, from 30 June-1 July 2010. The meeting was attended by representatives from the 17 major economies, UN officials, and representatives from Bangladesh, Denmark, Barbados, Ethiopia, Singapore and the United Arab Emirates. Participants discussed various issues related to the international climate change negotiations and, according to the Chair’s Summary, they emphasized the importance of quickly implementing the Copenhagen Accord’s fast-start financing provisions, highlighting that maximum clarity and transparency will build international confidence and be an essential part of a balanced outcome of the 16th session of the Conference of the Parties to the UNFCCC (COP 16) to be held Cancun, Mexico, in late 2010. Participants exchanged ideas on Annex I Parties mitigation and support. They also addressed non-Annex I Parties mitigation, highlighting that it should be party-driven, non-politicized, have a “multilateral anchor” and be based on national communications. Participants discussed whether the targets and actions included in the Copenhagen Accord may be reflected in a future outcome and whether such outcome will be legally binding and contained in a single instrument or two. Extensive discussion focused on progress on measuring, reporting and verification (MRV) at COP 16 with regard to: Annex I Parties mitigation; financial and technological support of non-Annex I Parties mitigation; and non-Annex I Parties mitigation. Participants also emphasized the need to focus adaptation efforts on vulnerable countries. Follow-up meetings were also announced, including: a Clean Energy Ministerial meeting to be held from 19-20 July 2010, in Washington, DC, US, to follow up on the Technology Action Plans of the Global Partnership launched by G-8 leaders in L’Aquila, Italy, in 2009; and a ministerial meeting on technology to be co-hosted by Mexico and India from 8-9 November 2010. The Major Economies Forum on Energy and Climate (MEF) was launched on March 28, 2009. The MEF is intended to facilitate a candid dialogue among major developed and developing economies, help generate the political leadership necessary to achieve a successful outcome at the December UN climate change conference in Copenhagen, and advance the exploration of concrete initiatives and joint ventures that increase the supply of clean energy while cutting greenhouse gas emissions. The 17 major economies participating in the MEF are: Australia, Brazil, Canada, China, the European Union, France, Germany, India, Indonesia, Italy, Japan, Korea, Mexico, Russia, South Africa, the United Kingdom, and the United States. That is 16 + EU + Denmark as host to the Copenhagen Meeting. Denmark, in its capacity as the President of the December 2009 Conference of the Parties to the UN Framework Convention on Climate Change, and the United Nations have also been invited to participate in this dialogue. The China and other Asian Clean Energy markets are by far front-runners considering the lame US lack of initiative. Could the US not do better with its tremendous capacity for innovation? subject: I Got the Asian Itch. I’ve got this itch because the region’s economies continue to grow while economic tremors continue to rock Europe and the United States. With a financial investment edge like that, you can bet Asia’s — particularly China’s — dedication is translating to wins in the public markets as well. That’s why 19 of the last 60 or so winners I’ve closed in the Alternative Energy Speculator have been China-based. You see, only Asia’s dominance of the solar market has been thoroughly established in U.S. markets, where Chinese ADRs are common. And while their dominance of wind and smart grid industries is definitely being plotted and executed, there’s been no way to play it in domestic markets — until now. Sinovel (the #3 company in the table above) has announced ambitions to be the world wind leader in the next five years. I’m guessing this company, along with a few other Chinese entrants, will go the initial public offering route. And if you think there’s work to be done on our grid, you should have a look at Asia where, in some places, there is no grid at all. In fact it’s being built from scratch. China’s largest grid operator, the State Grid Corp., has already said it will invest $37 billion this year alone to build a nationwide smart grid network. China has leveraged its massive economy to become world leaders in solar and wind technology, outinvesting other nations by far. Now they’re turning to the smart grid, which we’ll be necessary if they’re ever to harness that solar and wind potential effectively. And make no mistake — only the Chinese survive in China. They take care of and nurture their own. Like the Chinese solar companies now sharply outperforming their foreign competitors, I’ve found the one company about to become a global smart grid and electric car juggernaut. As you can tell from all the data above, China is betting on a clean energy future. While the U.S. continues to lag behind, you can satisfy your Asian itch by following China’s lead. P.S. China’s thirst for energy is incomparable. And it’s not just clean energy they’re after… My friend Christian DeHaemer is fresh off a trip to Mongolia, where he cozied up with a tiny company sitting on $51 billion worth of crude. And China wants it — bad. He’s going to release a full report on the company and its massive find tomorrow. But because you’re a loyal reader of Energy & Capital, I figured I’d give you early access to it today. China’s Next Cleantech Takeover: World’s Largest Automaker! But right now, as part of China’s rapid cleantech mission, this little gem is rapidly on the verge of becoming the world’s largest automaker! Shariah-compliant funds, ethical investing is socially responsible investing – it is religion based and could lead to green investments. The roots are in the Bible, promoted by Quakers and Methodists in the 1700s, now by the World Islamic Banking Conference. Ethical and Sharia-compliant Investing Takes Off. Monday, 28 June 2010 at 09:26, By Ron Robins, Founder & Analyst – Investing for the Soul. Sharia-compliant investments have taken off as well. “…investors globally hold more than $1.5 trillion in Sharia-compliant investments… [and] there are more than 500 funds globally that comply with Islamic principles, of which one-third of these funds were launched during the past four years, and the figure is projected to double in the coming five years… ” said Abdul Rahman Al Baker, executive director of financial institutions supervision at the Central Bank of Bahrain (CBB) at the Sixth World Conference of Islamic capital markets and investment funds on May 24, 2010. “Due to its widening acceptance and its appeal as a means for ethical investment, the [Shariah-compliant finance] industry is expected to continue growing at twice the pace of its conventional counterpart… ” stated Lim Hung Kiang Singapore’s Trade and Industry Minister speaking on June 14 at the World Islamic Banking Conference Asia Summit in Singapore. Shariah-compliant funds are now found in North America, Europe, Africa, the Middle East and Asia. The ‘sister’ to ethical investing is socially responsible investing (SRI). In fact the terms ethical investing and SRI are frequently used interchangeably. SRI however, has been associated with left wing political views for a long time. Largely because of this association many in the industry have dropped the word ‘socially’ so that the term ‘responsible’ investing is now commonplace. One new variant of ethical investing is ‘impact’ investing. This term relates to only using positive screens to find investments that have the most beneficial impact on society. Ethical-SRI funds usually use both positive and negative screens—the latter might screen out companies related to tobacco or defence etc. Another type of ethical investing that is increasingly popular is sustainable or green investing. And for religious communities there are ‘faith-based’ funds, guided by the precepts of the associated group. However, in today’s complex world supervisory boards in different countries can vary in their interpretations of what is Shariah-compliant. Hence, many Islamic financial institutions are desirous of creating a pan-Arab/Muslim Shariah supervisory board. A Bloomberg report published on alrroya.com June 10 indicated that a supreme Shariah board could exist among Gulf Arab states by 2013. Globally, both ethical and Shariah-compliant funds are likely to continue growing faster than their ‘conventional’ counterparts. They share a commonality in that non-financial factors such as ethics and morality are instrumental in shaping investment decisions. Also, both arise from principally religious traditions. Elsevier publishing and the International Conference on Applied Energy, April 21-23, 2010, Singapore. The International Conference on Applied Energy (ICAE) looks set to become a truly integrated forum on research, development and application of energy technology and policy. ICAE2010 aims to facilitate debate on a wide range of topics under the theme, “Energy Solutions for a Sustainable World”. Besides the usual technical presentations and posters, the Conference will feature a number of keynote lectures and special focused sessions incorporating panel discussions and Q and A sessions. We invite specialists from all over the world to come and share experiences and contribute towards building the framework for sustainable development in the 21st century. As authors proceed to develop the full papers for the conference, I wish to inform all that a selection of the papers presented at ICAE2010 will be reviewed for publication in a special issue of Applied Energy and a number of other international peer-reviewed journals. In addition, best paper awards will be presented at the Conference. Please visit at www.icae2010.org for your registration to attend the conference. By Matthew Russell Lee of the Inner City Press. UNITED NATIONS, December 17 — In the months leading to the Copenhagen climate talks, UN Secretary General Ban Ki-moon veered back and forth between reading out specific statements on how the deal should be sealed and saying it is up to member states, the UN is just the venue. Inner City Press asked each of these three about the African Union’s much higher figure and threat to walk out. Each was to varying degrees dismissive. He also, at least according to them, has inappropriately accepted not only the developed countries’ $10 billion figure, but now their two degree Celsius temperature rise cap, versus the 1.5 degree figure. And and Ban’s number is now two degrees Celsius, a figure never agreed to by developing countries. They think the UN is or is supposed to be their venue. But not anymore, it seems. As UN Flies 700 Staff to Copenhagen, Coup Leader Set to Speak, Major Emitter Excluded. UNITED NATIONS, December 10 — In the run up to the Copenhagen climate change conference, Inner City Press on December 4 asked UN climateer Janos Pasztor how many UN system staff, officials and consultants would be traveling to Denmark, with what carbon footprint. Pasztor said it wouldn’t be known until the conference began. Nesirky answered, “As for Madagascar, it is scheduled to speak on next Wednesday 16 December, sometime after 6 p.m., so they seem to have been invited.” But what about the request that, as at the UN General Debate in September, they be disinvited? SG: As you know I, together with Prime Minister [Lars Løkke] Rasmussen [of Denmark], have been engaging in weekly videoconferences with major stakeholders on climate change – particularly the representatives of the most vulnerable countries, including the African Union and small island developing countries. We are going to continue to do that, as we did in Trinidad and Tobago. 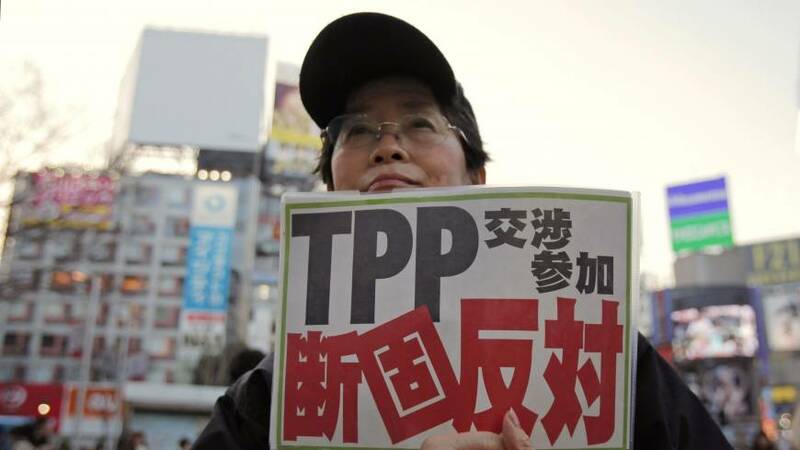 Now the idea of short-term fast-track financial support is supported by developing countries. We had a very in-depth discussion on this issue during our Commonwealth summit meeting in Trinidad and Tobago. As you know the 53-Member State Commonwealth adopted a consensus declaration where this financial support – fast-track support – was agreed by all the Member States, including a provision that 10% of this $10 billion will be provided to small island developing countries. So the Commonweath agreed — but has the African Union? Inner City Press asked Ban’s top humanitarian John Holmes on December 10, but he said he hadn’t been involved in setting the $10 billion figure. So who was? Inner City Press also asking about the block on participation by Taiwan, which is a major industrial emitter. Nesirky answered only that “Taiwan is not a party to the UNFCCC.” But why not? Would the UN want a major source of emission like Taiwan to participate? The answer, of course, in China, a senior diplomat of which told Inner City Press a good joke on Thursday. He noted that U.S.’ Susan Rice had been harsh against Iran in that morning’s Council meeting. She has to play to the electorate, he said, just as Iran’s teetered regime tries to strengthen its power by being ever more hard-line. The Chinese diplomat said, “This is the problem with democracy.” And then he laughed. Climate Change and South East Asia. Could little Singapore lead the US, India, and China to a commmon stand? South East Asia and climate change. Climate change is a critical and pressing issue we are faced with today. In Southeast Asia we are increasingly exposed to the results of climate change, such as the latest typhoons and floods in the region, causing loss of lives and damage to property as well as displacing familes and increasing the spread of tropical diseases. There is also the risk of rising sea level and increasing temperatures. A recently released report from the Asian Developing Bank (ADB) shows that South East Asia is likely to suffer more from climate change than elsewhere in the world. There will be considerable economic costs too, with a projected 7-8 per cent lost in GDP, unless climate change is addressed. It is an issue, on which developed and developing countries should come together. Yet differences and suspicions remain. The date for COP15 in Copenhagen is rapidly approaching and nations worldwide are going to great lengths to reach a consensus on a new climate agreement. However, after the Barcelona meetings earlier this month, it seems that the negotiations have not progressed so far that a new legal framework will be ready for Copenhagen. 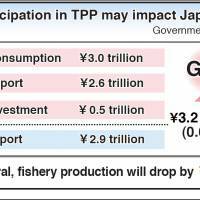 A realistic outcome will probably be a political framework which can form the basis for future negotiations on the post-Kyoto treaty. South East Asian countries, including Singapore, need to think about their position on the international stage. We all see the need to bring together the US, India, China and south-east Asia, and mediators can help bring these nations together. Singapore and other countries in the region could very well play that role. South East Asia and Singapore should engage and have an active role. If we do not, we risk having larger and more powerful countries coming to agreements alone and the decisions risk being made without our full attention and participation. Singapore, along with the rest of the world is also looking at alternative sources of energy. It is clear that some countries are more able and capable to deploy energy saving mechanisms such as windmills and water/tidal turbines. Solar energy, though a good solution, is still very expensive and presently is not optimal for Singapore due to our small land size and cloud cover. But we can participate in helping develop the technology and know how and benefit. Singapore drew up a sustainable blueprint earlier this year which stressed issues such as increasing energy efficiency. Singapore also has an excellent past record in many areas of environmental proection as a green city. But we, and all other nations, should also be committed to the global effort to address climate change. Singapore has good engineering and technology and export environmental services like water treatment and recycling. We pride ourselves on our development despite the lack of natural resources. We should regard carbon emissions as a constraint, like the shortage of water, land and clean air. By doing this, we would find innovative ways to minimise such emissions. The world is moving towards being carbon neutral. Carbon markets are thriving in places like London and China. Singapore should have a slice of the cake too. Singapore is after all an energy hub and one of the world’s leading future trading hubs. Without the big nations on board, it may be understandable that other nations approach Copenhagen cautiously. A solitary commitment by any single nation cannot solve this global challenge. But I hope that all governments will leave Copenhagen energized and with greater political commitment. In the post-Copenhagen scenario, many Singaporeans will hope and expect Singapore to play its role. YU-AI or fraternity – a green concept for the seas of East Asia proposed by Prime Minister Hatoyama. It seems that India, Australia, New Zealand and possibly the US are States Japan wants to see as part of the 13 East Asian Group while China is cool to this idea. Hatoyama outlines East Asia bloc – key concepts include regional prosperity, environmental cooperation. SINGAPORE (Kyodo) Monday, Nov. 16, 2009, Prime Minister Yukio Hatoyama on Sunday highlighted four key areas of cooperation in his concept for an East Asian community — regional prosperity, the environment, protecting human life and maritime safety. Hatoyama said Japan will speed up negotiations for economic partnership agreements with South Korea, India and Australia, and study the possibilities of talks with other countries as a means to pursuing prosperity in the region. 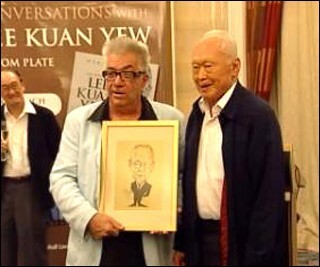 “The concept behind my initiative for an East Asian community stems from the philosophy of yu-ai,” he said. “Within yu-ai, people respect the freedom and human dignity of others just as they respect their own freedom and human dignity. In other words, yu-ai means not only the independence of people but also their coexistence. “I set this goal because reconciliation in the real sense of the word is not necessarily believed to have been achieved in the region,” said Hatoyama, whose two-month-old government attaches great importance to Asian diplomacy. He stressed that countries need to ensure the success of the key U.N. climate change meeting next month in Copenhagen, where the world will try to strike a deal on a successor to the Kyoto Protocol. Hatoyama said Japan will make a “proactive contribution” to encourage governments and other institutions to register their human and material assets for disaster relief, which would allow the region to conduct more prompt and effective rescue and relief activities in response to disasters. Along with the four areas, Hatoyama cited nuclear disarmament, nuclear nonproliferation, urban issues, social security and cultural exchange as potential fields of regional cooperation. “There may also be an opportunity for us to discuss possible political cooperation in the future,” he said. While welcoming Washington’s commitment to Asia as stated in President Barack Obama’s speech in Tokyo on Saturday, Hatoyama carefully avoided speaking about Washington becoming a member of his envisaged East Asian community. As a framework of future regional cooperation, China envisions a grouping of 13 countries — Japan, China and South Korea plus the 10 Association of Southeast Asian Nations members of Brunei, Cambodia, Indonesia, Laos, Malaysia, Myanmar, the Philippines, Singapore, Thailand and Vietnam. 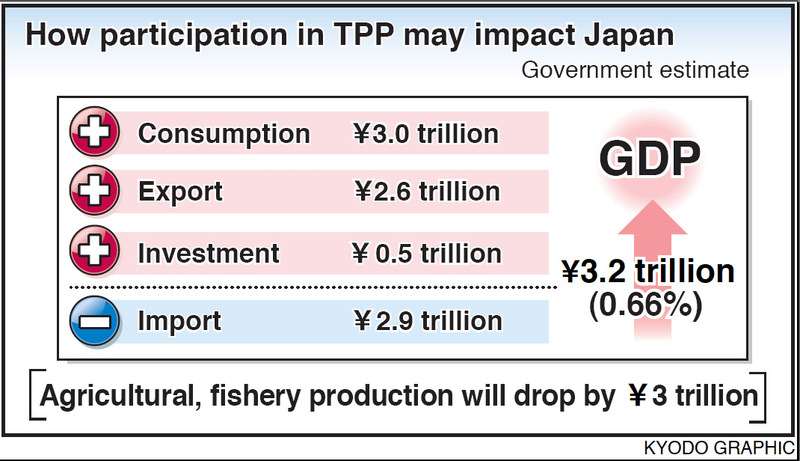 Japan envisages a wider grouping including Australia, India, New Zealand and possibly the United States. SINGAPORE (Kyodo) Prime Minister Yukio Hatoyama told Russian counterpart Dmitry Medvedev on Sunday that he will not accept the idea of settling the sovereignty dispute over four Russian-controlled islands off Hokkaido by settling for the return of the two smaller islands. “The (Japanese) public and us (the government) cannot understand (the idea of) returning two islands. I would like you to show a nonstereotypical approach that goes beyond such an idea,” Hatoyama quoted himself as saying at the meeting the Russian president in Singapore. Medvedev told Hatoyama that Russia truly hopes to advance negotiations on the territorial row while Hatoyama is in office, a Japanese delegation source said. Hatoyama quoted Medvedev as telling him that Moscow wants to seek a “pragmatic” solution to the dispute without employing an approach based on the thinking of the Cold War era.